The humour of self-deprecation is peculiarly English. Few people do it better than Jeremy Lewis. His first two autobiographical volumes - Playing for Time and Kindred Spirits - are being reissued in Faber Finds to coincide happily with his third volume - Grub Street Irregular - being published by HarperCollins. With a sharp eye for the absurd and a fond sympathy for life's eccentrics, in Playing for Time, Jeremy Lewis treats us to uproarious tales from his time in Dublin in the 1960s, mad escapades in Europe and America, life amidst the snares and delusions involved in growing up in middle-class England in the 1950s, and of his ever unrequited passion for the ever unattainable ffenella. Richard Cobb enjoyed this book so much he managed to review it twice, a quote from one will do. 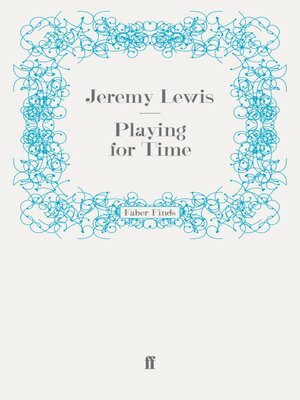 'I like books that make me laugh, and Jeremy Lewis's Playing for Time kept me laughing every night in my local for a week'.